Many of our activities are centred around railways of 7¼", 5" and 3½" gauge plus 32 mm and 45 mm gauge railways, but the society embraces all branches of model engineering. This includes model traction engines, boats, stationary engines and clocks. No area of model engineering is excluded. This includes the tools and equipment used in model engineering. 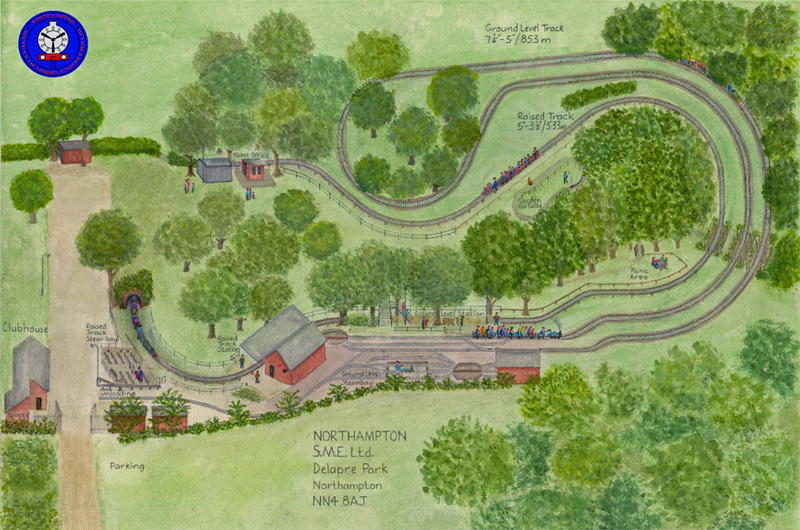 The Northampton Society of Model Engineers (NSME) is situated in Delapre Park, Northampton, NN4 8AJ, England. Some of our projects have been funded using the NAME loan scheme. We have over 100 members and continue expanding. All are welcome, whether a complete novice, trained engineer, or anything in between. Southern Federation of Model Engineering Societies (SFMES). Registered society under Co-Operative and Community Benefit Societies Act 2014. Registered Office: 7, Hodnet Close, Northampton, NN4,0XY.